Many nursing homes are good places to live. Unfortunately, not all of them are. Nursing homes are a "for profit" business and, too often, the bottom line is put before our elders' quality of care. Your loved ones are dependent on nursing home staff for basic necessities --like food, water, and grooming - and they may be needlessly suffering from abuse or neglect. State workplace inspectors have found over 5,000 nursing homes in California in violation of elder protection standards. If you suspect that a loved one is or has been the victim of nursing home abuse or neglect, please call us immediately. We are dedicated to vindicating the rights of the elderly and disabled. Abuse in Bay Area nursing homes can take many forms. It can include assault, battery, sexual assault, unreasonable physical constraints, prolonged deprivation of food and water, toxic mold and asbestos exposure, and unauthorized use of chemical restraints and drugs. Neglect can come in many forms, including failure to assist in personal hygiene; failure to provide adequate food and clothing; failure to give medical care for physical and mental health needs; failure to protect from health and safety hazards; and failure to provide adequate nutrition. 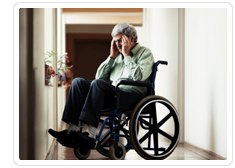 In California, nursing home neglect is defined as the negligent failure of any person having the care or custody of an elder or dependent adult to exercise that degree of care which a reasonable person would exercise in a like position. California law provides significant remedies to redress injuries suffered by nursing home patients. Victims and their families can obtain damages for pain and suffering, punitive damages, attorneys' fees, and the return of monies paid to the nursing home. We are dedicated to vindicating the rights of the elderly and disabled. If you suspect that a loved one is or has been the victim of nursing home abuse or neglect, the Department of Health Services should be contacted to start an investigation and can get the ball rolling. Also, please call us immediately. 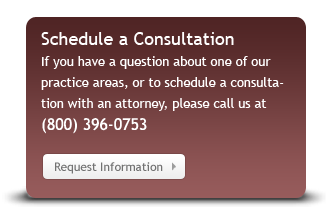 We also know how to help you with your private remedy for abuse and neglect. Put our experience to work for you. We represent clients in California including the San Francisco Bay Area, Oakland, San Jose, Sacramento, Los Angeles and other California communities.